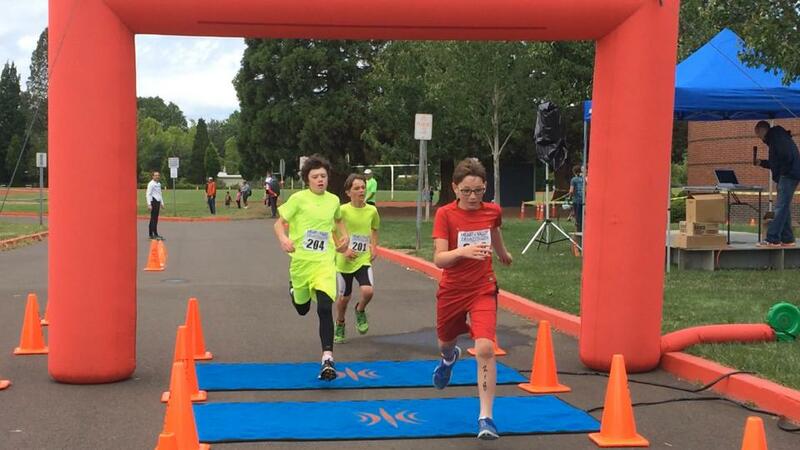 The kids long course starts first. The kids splash and dash starts next. The kids short course starts last. 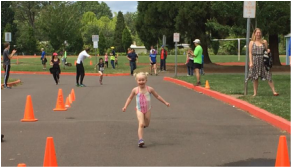 Pre-schoolers to Teens, if they can swim, bike and run (or wobble) they are welcome in the sport of triathlon! 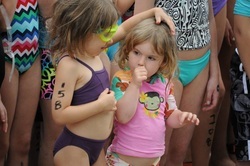 The kids Tri will have two year age groups in both the short and the long course. Awards will be presented for the triathlon as it is a timed race. This race is timed. Parents or guardians are welcome to assist in the race. The bike and run portions will be lead by experienced volunteers. The Splash and Dash category which will be a shorter swim and run (no bike for this group). The standard S&D distance is listed below, but parents are welcome to guide their kids through any distance that works for them. Please see the registration page for pricing and to sign up. Floaties and life jackets are welcome! *The Splash and Dash is not timed. We recommend parents accompany kids 7 and under through the whole course for moral support. The run is all in the school area around the perimeter of the track. The younger kids do one loop. 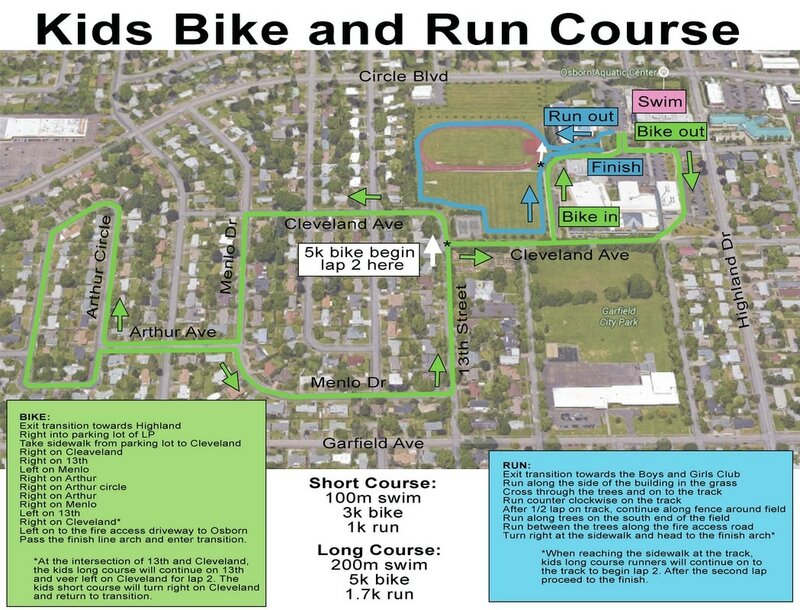 The run is all in the school area around the perimeter of the track. 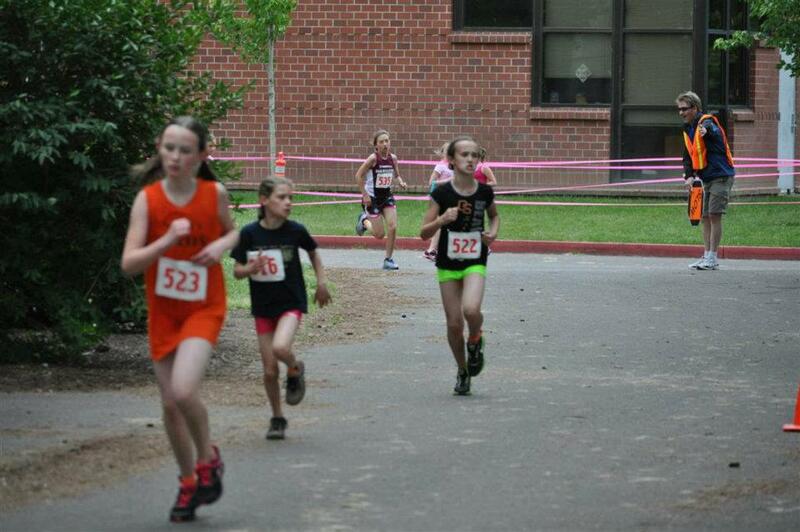 The older kids do 2 loops around the perimeter before going to the finish. 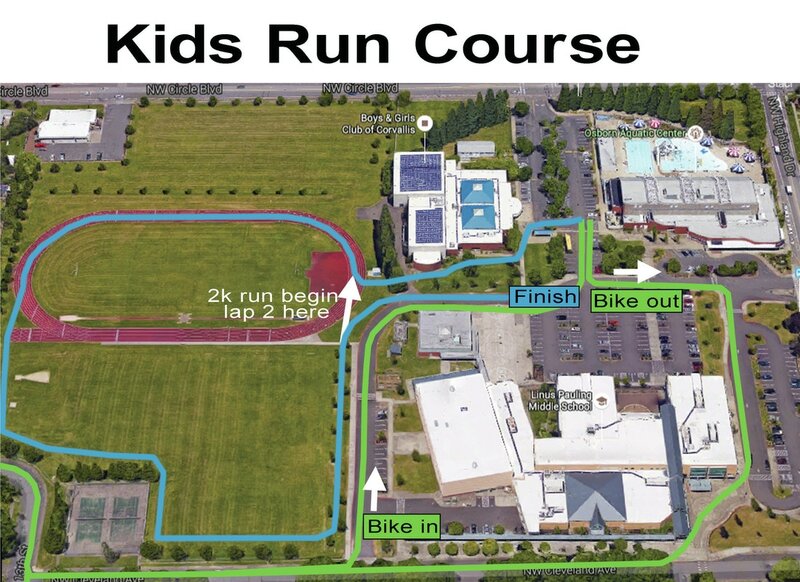 You and your child can select the course distance on race morning.